Keysight Technologies announced the new Infiniium UXR-series of oscilloscopes with models ranging from 13 to 110 GHz of true analog bandwidth, offering industry leading signal integrity, and investment protection that meets the needs of technology advancements today and tomorrow. 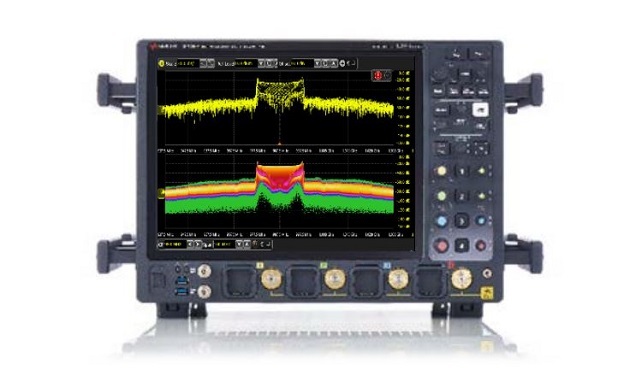 The latest analyser by Keysight is a true leader as it boasts of a number of segment first and market leading features that are bound to revolutionise the test and measurement scene. Can you briefly describe the product series and how it works? A: The Infiniium UXR-Series oscilloscopes are Keysight’s new ultra-high performance real-time oscilloscopes. There are 21 models providing anywhere from 13 GHz of bandwidth to 110 GHz of bandwidth. 13 — 33 GHz models offer 4 channels. 40 GHz models and above offer two or four channels. This family of oscilloscopes provides the market’s highest bandwidth and industry leading noise, jitter, and effective number of bits (ENOB). How will this announcement impact customers? A: Because this family of oscilloscopes spans such a wide range of bandwidths, it addresses several markets including high speed digital, terabit and optical research, 5G, RF, and aerospace and defence. What problems does this new product series solve? A: If you are working on optical coherent receivers, this is the first oscilloscope to provide 4 integrated channels at 110 GHz, making it the first oscilloscope to be able to fully decode a full coherent receiver design at these speeds. If you are a high speed digital designer, this oscilloscope provides new industry leading signal integrity, meaning you will pass compliance tests with more margin and confidence, allowing you to decrease your design and test cycles. This is increasingly important as digital standards are increasing in speed and eye diagrams are closing. The signal integrity of this oscilloscope enables researchers to see accurate 256 QAM constellations to make coherent modulation measurements. The UXR’s performance enables wideband EVM measurements to be performed like 802.11ay providing engineers an additional tool to gain insight when analysing wide-bandwidth millimetre-wave signals. 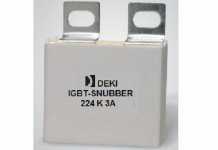 How many bits does the analog to digital converter (ADC) have? A: This oscilloscope uses 10-bit ADCs, providing 4x more resolution than 8-bit ADC supported oscilloscopes. A: Yes, you can upgrade a 13 GHz unit all the way up to 110 GHz. Plus, you can upgrade any 2-channel unit to a 4-channel unit. Are these oscilloscopes backwards compatible? A: Yes, they are backwards compatible to your existing Infiniium oscilloscopes. They run the same Infiniium software on Windows, support Infiniium applications, and will run with your existing remote command programs. The 13 to 33 GHz models have the same AutoProbe II interface as your V- and Z-Series oscilloscopes, so all your probes are compatible.. Your probes are also compatible to the 40 to 110 GHz models with the use of a simple adaptor. What are the key differences of the UXR oscilloscopes compared to existing oscilloscopes? A: The key differences include the number of high bandwidth channels, the bandwidth range, and the signal integrity, which was all made possible by the custom ASICs and hardware designed specifically for this series of oscilloscopes. Not only do these oscilloscopes provide more bandwidth than any other oscilloscope on the market, but we provide more bandwidth on more integrated channels than any other oscilloscope. The custom Indium Phosphide ICs we designed for the UXR enabled us to achieve up to 110 GHz without frequency interleaving, a process which introduces noise and distortions to the measured signal. It allowed us to return to traditional oscilloscope designs which provide low noise and jitter, high signal integrity, and more bandwidth on each channel. Additionally, we optimized this 110 GHz technology for 13 —33 GHz reducing the noise even further in our 3.5 mm front-end models. A: Frequency interleaving is a process that oscilloscopes use to achieve greater bandwidth than their hardware can support. It requires additional hardware and advanced digital signal processing which add extra noise and jitter to a measured signal. Before the UXR, oscilloscopes could not manage above 40 GHz signals without frequency interleaving. The UXR’s hardware can support a full 110 GHz so does not use frequency interleaving, therefore increasing signal integrity. Frequency interleaving splits a signal into smaller frequency bands, and down converts the high frequency content to a range the preamplifier can handle. After significant digital signal processing, the low and high frequency components are recombined to display a higher bandwidth signal than the limitations of hardware. The additional circuitry and signal processing required to achieve this adds distortions and noise to a signal. When existing hardware could not support greater than 40 GHz of bandwidth, this was the only way to enable oscilloscope measurements of high frequency content. So Keysight designed hardware that could handle 110 GHz, allowing us to remove the additional hardware and signal processing required with frequency interleaving. This allows us to display the signal as true to its original form as possible. Are there any customers currently using this product series? A: We have shipped a limited number of prototype units to support innovative research and we are taking orders now for final hardware units. How is it sold? Will Keysight work with channel partners or is this a direct sale? A: The UXR-series is sold through our direct sales channel. 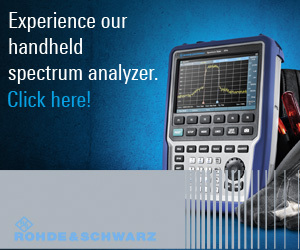 Local Keysight sales representatives can help customers select the right bandwidth, channel count, oscilloscope applications, and probes needed for your tests. What is a self-calibration module? A: Regular calibration is required to ensure your high-performance measurement equipment is operating to its specified performance. However, annual calibration cycles can come up at inconvenient times, encroach on project schedules, or impact productivity. The Infiniium UXR-Series offers an optional self-calibration module capable of performing a full factory quality frame calibration. You no longer have to lose productivity or time associated with sending your Infiniium UXR-Series oscilloscope in for calibration. It also allows you to calibrate your UXR on site and in the same environmental conditions that your test device is under. b. There are three calibration modules: N2125A to support 80 — 110 GHz models, N2126A to support 40 — 70 GHz models, and N2127A to support 13 — 30 GHz models. You can calibrate your oscilloscope on demand to ensure your measurement results are as accurate as possible. 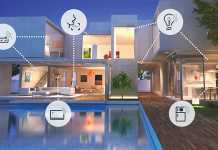 How is the new product series compatible with coherent optical transmit devices? A: Keysight is also introducing two additional products that, when paired with the Infiniium UXR-Series oscilloscopes, enable a full end-to end solution from stimulus to analysis for 400/800 GBE and coherent optical interconnect designs: The Keysight N4391B optical modulation analyser (OMA), based on the Infiniium UXR-Series oscilloscopes, is a compact OMA solution that combines four 110 GHz channels at full analog bandwidth in a single oscilloscope that is mounted on an optical coherent receiver. With multiple options for pre- or user-defined modulation formats, the new OMA provides a fully integrated solution specifically defined for complex optical and terabit measurement challenges. Compared to the time-consuming and resource-intensive implementation of a home-grown optical modulation analysis solution, the fully integrated N4391B provides a fully specified and reliable test instrument that helps greatly reduce time to market. With guaranteed and characteristic specifications, Keysight guarantees accurate and reliable test results that can only be achieved with a turn-key solution. What is Keysight’s Next-Generation Arbitrary Waveform Generator and how can it be used with the UXR? A: The new Keysight M8194A arbitrary waveform generator (AWG) is Keysight’s fastest, providing the highest combination of speed, bandwidth and channel density available. With a sample rate of up to 120 GSa/s and output frequencies up to 50 GHz, this AWG enables signal generation up to 100 GBaud on 4 channels simultaneously with femto-second channel-to-channel synchronization. 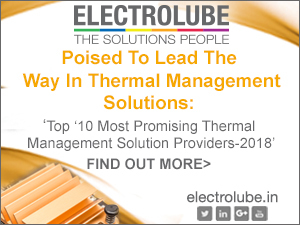 This drives a new level of stimulus performance for coherent optical interconnect and flexible wideband modulation scheme requirements. The combination of the expanded UXR oscilloscope platform, the UXR-based OMA, and the industry’s fastest AWG combine to give high-speed designers an unprecedented end- to-end solution to rapidly advance their technology development. Does the UXR address industries other than high-speed digital? A: Yes. Because of the low noise, low jitter, and wide bandwidth, the UXR addresses a variety of different application spaces and industries, making it not just the next generation of oscilloscopes, but a measurement platform. The UXR’s low noise floor enables researchers to see accurate 256 QAM constellations to make coherent modulation measurements. For emerging millimetre-wave applications up to 110 GHz, the UXR offers engineers an additional tool to gain insight when analyzing wide-bandwidth millimetre-wave signals. 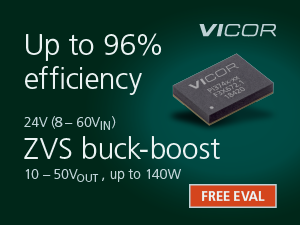 The UXR’s performance enables wideband EVM measurements to be performed like 802.11ay. The bandwidth and deep memory of the UXR supports eW systems. The UXR can be used as an RF receiver. 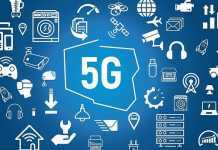 5G is on the horizon with key bandwidths at 28 and 39 GHz and wide I/F bandwidths. The only instrument that can digitize the entire spectrum is an oscilloscope. Not only can the UXR digitize all 39 GHz of spectrum, but the UXR’s advancement in front end technology reduces the noise, making it a viable RF test tool.